As we get closer and closer to graduation, Michael has been trying to decide what song he wants to play for his Senior presentation. I caught him playing & practicing. 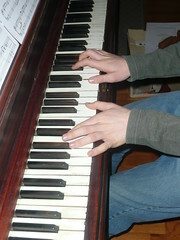 It has been such a blessing to our family & church for him to learn how to play the piano. 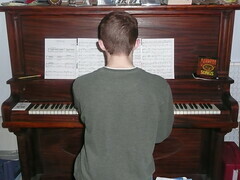 I sometime just stand in the kitchen and listen(or sing along) when he plays. 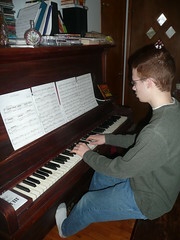 There is a certain song he played for his last recital by Chris Rice that just brings tears to my eyes when I hear it. Somehow no matter where he ends up next year I know I am going to miss listening to him practice.